In Crashed: How a decade of financial crises changed the world, author Adam Tooze proposes a remarkably consistent narrative of the 2008 financial crisis and its political, geopolitical consequences — one that attempts a coherent interpretation of the global and European crises. In part one of his review of this seminal work, Shahin Vallée examines Tooze’s take on the collapse of the financial system, and saving the economy at the cost of our politics. 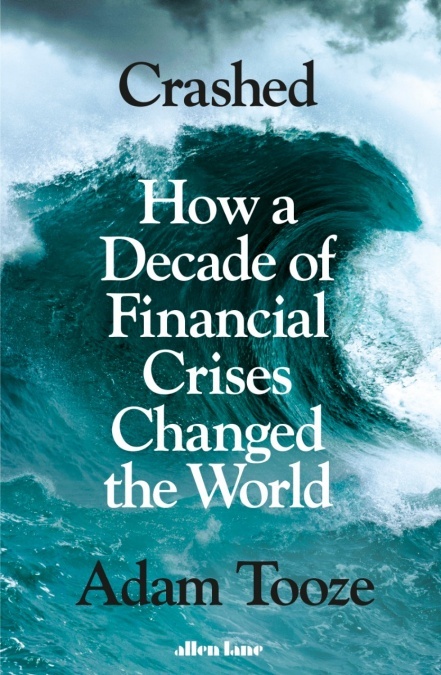 Having been a front row observer of the financial crisis for the past 10 years, when Adam Tooze’s Crashed came out, I thought that I could do away with reading its full 687 pages (including the notes) and limit myself to his London School of Economic presentation. I was wrong. Tooze has the annoying habit of disseminating important thoughts with profound ramifications randomly throughout the book. This means you can’t go through the outline and focus only on the parts that appear central to his argument. The book proposes a remarkably internally consistent narrative of the crisis and its political, geopolitical consequences—one that attempts a coherent interpretation of the global and European crises, something that 10 years after the failure Lehman Brothers is still sorely missing. This work is not only a work of economic history but one that mobilizes all social sciences with enough distance to debunk the myths and challenge the oracles of economics and finance, along with references ranging from Jay Z to Jacques Derrida and from Bob Dylan to Jurgen Habermas. Crashed: How a decade of financial crises changed the world. Adam Tooze. Allen Lane 2018. The foundational moment of the collapse of Bretton Woods in the 1970s is mentioned in passing but is, for Tooze, clearly central to understanding the evolution of international finance and global capitalism. It was at that moment that both the free flow of global capital and the development of a fractional reserve banking system where credit creation is outsourced to the private banks became the two central pillars of international finance. The new monetary system or non-system that emerged in its aftermath would plant the seeds of the crises of global financial capitalism of 2008. The expansion of finance had profound consequences on the geography of capital and trade relations allowing for financial flows to rapidly outpace the growth in international trade, a development that would disconnect trade imbalances that economists have followed closely for decades from financial imbalances. Understanding the importance of this macro-financial link is critical to understanding both why the U.S. and European crisis are tied at the hips, but also to understand the ways in which the European crisis itself developed. As Tooze puts it, the evolution of European capitalism had been such that by 2008, Europe’s idea of a functioning social market economy was in reality turbo-charged financial capitalism (p.116) powered by its banking system. Understanding this phenomenon is critical to a finer understanding of the euro crisis as well, because while it is clear that it is not a fiscal or competitiveness crisis, contrary to what a narrow analysis of fiscal accounts and trade flows would suggest. Indeed, the euro crisis was not just about the recycling in Southern Europe of current account surpluses accumulated in Germany. Understanding, the importance of leverage in the banking system at the heart of a process of exponentially reallocating and recycling current account surpluses and fuelling capital flows offers an essential perspective to understand the role that European finance played in this crisis. This explains why a country like France with relatively little current account surplus became centrally enmeshed both in the global as well as the Euro financial crises. This point is quite central to understanding why the few economists (such as Roubini) who “predicted” the crisis, in reality, predicted the wrong crisis. Indeed, the standard, global imbalances view centred around the large U.S. current account deficit and Chinese surplus, the so-called Chimerica view of the world, suggested that the real threat was a crisis of the dollar, with a sudden-stop on the part of America’s creditors affecting the United States and the world economy. This is not what happened. In effect, while global imbalances and Chimerica was a macro-economic reality, the much more important macro-financial reality was the development of North Atlantic Finance, which would come to break down in the fall of 2008 not through a dollar crisis (in which everybody sells dollars) as predicted but through a dollar funding crisis (in which everybody wanted dollars). It is this nexus of macro-financial and macro-economic imbalances both rooted in geopolitics that came to a breaking point between 2008 and 2018. As a result, Tooze rightly points to the central nature for the international monetary order of the creation of a dense of bilateral swap lines (by which the Federal Reserve lends dollars to other central banks), that benefited Europe first and foremost. As one European Central Banker would remark: “we became the thirteenth district of the Federal Reserve System” (p215). The fact that this network has become permanent despite the pressure of the U.S. Congress to curtail it by way of the Dodd-Frank Act, which limited the discretionary powers of the Fed in times of crisis, speaks to the understanding by the Federal Reserve of its resolute international role. This was critical in stabilizing the financial markets and delivering dollar liquidity across the globe. This has also repaired a transatlantic finance and allowed in effect the dollar to continue to reign supreme as a primus inter pares international reserve currency. The secondary network of swap lines has demonstrated its importance, too. For example, the ability of the Reserve Bank of India to draw dollars from the Bank of Japan was an important element of providing some secondary stability in times of concerns about global dollar liquidity. 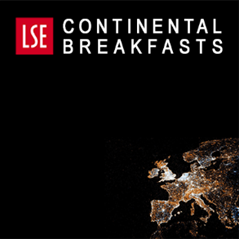 But while Tooze shows how imperfect these arrangements were in the context of the taper tantrum, when the prospect of the end of Quantitative Easing rattled financial markets in 2013 for example, he doesn’t stress enough the two fundamental flaws in this arrangement: (a) the fact that it leaves China and the PBoC outside of this network and therefore exposed to potential dollar liquidity shortages and (b) that it leaves the system to rely on the ability of each member of the swap network to distribute to its satellites. As we saw during the crisis, the ability of each nod in the system to play the role of intermediary and deliver dollar liquidity to its respective network of monetary influence is uncertain, subject to the U.S. discretion, which given erratic politics can be withdrawn and therefore leaves the system unpredictable and vulnerable to regional dollar shortages. The start of the hiking cycle and dollar shortages and capital flight it provoked in the summer of 2015 is one illustration of how unstable this monetary architecture is. Indeed, despite the advent of the Federal Reserve’s bilateral swap network and while Tooze is right to consider that French, Chinese and to a lesser extent Russian hopes that a new monetary order would emerge from this crisis, were disappointed he doesn’t quite explain why this could not have happened for instance had the internationalization of the RMB not been fundamentally halted and reversed by the shock of 2015. The system is now precarious in the fundamental sense that it is based on the Fed’s ability and willingness to internalize the global environment. In his LRB talk with Helen Thompson and David Runciman, Tooze argued that the Fed was best positioned to internalize the global dimension of its policy because of the policymakers running it at the time. The presence of Stanley Fischer (former IMF chief economist and former Governor of the Central Bank of Israel) for example, or the intellectual proximity with U.S. trained economist like Raghuram Rajan, the Governor of the Reserve Bank of India from 2013-2016 is viewed as having provided the Federal Reserve with the necessary international outlook to understand its global footprint. But the notion that Fischer, because of his international awareness played this role isn’t supported by the evidence. The true intellectual and policy forces behind the decision by the Federal Reserve to halt its hiking cycle in consideration for China and the world economy were Yellen, Bill Dudley from the New York Fed and Lael Brainard (at the time member of the Federal Open Market Committee but more importantly aspiring Secretary of the US Treasury), had Hillary Clinton been elected. Fischer was in reality notoriously opposed and stood on the conservative side of this debate by arguing for the Fed to keep cool and carry on with its hiking cycle. The Federal Reserve policies undoubtedly played a critical role in resolving the global financial crisis. But they also contributed to creating profound rifts in the political fabric of America, and the world. Debates in the United States, and in particular inside the Obama administration exposed a deep-seated economic, ideological and political fight on the question of expansionary fiscal policy. This story has been told elsewhere but it is striking to be reminded of the heroic role that Larry Summers, who, for all his faults, played a critical part in securing a middle ground that would certainly be less ambitious than Christina Romer’s demands for a bigger fiscal stimulus but far more appropriate than the conservative voices in Obama’s White House and in Congress. It is particularly striking to note how this fiscal stimulus took place against the opposition of a Republican Congress held hostage by the growing Tea Party Caucus, which was reinforced by the crisis. Influential conservative economists like Martin Feldstein, Glenn Hubbard and Ken Rogoff also pressed for accelerated fiscal adjustment, and finally how, even inside the Democratic party, conservative voices like Rahm Emanuel or Peter Orszag went out of their way to curb the fiscal stimulus. Finally, this policy took place against an international coalition led by Angela Merkel and then George Osborne/David Cameron who would argue relentlessly for austerity. Given this landscape, the choices made by the Obama team, in particular under the intellectual leadership of Christina Romer, Obama’s Chairwoman of the Council of Economic Advisors, stands out as particularly far-sighted. But they helped fuel a political rift that was most visible in the debt-ceiling debates in the summer of 2011 where the Tea Party and the most fiscally conservative Republicans effectively blocked the Federal Government’s budgetary process, provoked a government shut-down, which together exposed the dysfunctional nature of U.S. political system and would eventually cost the US its AAA rating and some of its international standing. On the issue of banking sector support, the record might be more mixed and Paul Krugman’s review of Tim Geithner’s book probably gives the most balanced view of this episode by giving due credit to Geithner and former Fed chairman Ben Bernanke for their plan and policies of liquidity support and banking system recapitalization. However, it is good to be reminded that alternatives were available and were turned down by a combination of congressional obstacles and certainly class proximity and elite networks that linked the Obama economic team to the heart of the Wall Street complex by way of Bob Rubin, Larry Summers and the Hamilton Project (a group of leading economists close to the democratic party and to Wall Street). It is worth recalling an extraordinary New Yorker article by Ryan Lizza, who, like Tooze, gives an account of the days in late March 2009, when the Obama economic team argued over the possibility of nationalizing most of the American banking system and introduce a large “bad bank” much like the Swedish government did in the late 1990s. The jury is still out on whether this would have been better economic policy, but it is more likely that this would have radically tamed the emergence of the Tea Party and limited the perception of an economic and political system that privatizes the gains and socializes the losses during crises. American crisis fighters focused on the rescue of the financial system over Main Street and spokespersons of the financial industry were now demanding all the mobilization of the resources of the State to save society’s financial infrastructure (p. 165), something that would effectively be largely achieved by October 13, 2008 with a $125 billion capital injection in the nine largest U.S. banks. While there are questions about whether an alternative policy in the United States could have led to better economic outcomes, there is clear evidence that this crisis and its policy response fractured the political system and opened the way to two insurgent forces on the left and right that largely explain the state of the U.S. political system today: The Tea Party, of which Donald Trump is the prime heir, emerged in response to the Obama fiscal expansion and the perception of a runaway expansion and bureaucratic elite. At the same time, the Occupy Wall Street movement brought together forces on the left that resented the bailing out of the financial system at the public’s expense and would come to fuel division inside the Democratic Party and would later propel the candidacy of Bernie Sanders. While this narrative and the immediate link between the economic crisis and politics can be overly simplistic, there is something to say about how the polarization of U.S. politics today, owes a great deal to the transatlantic financial crisis and the way in which the U.S. government chose to resolve it. 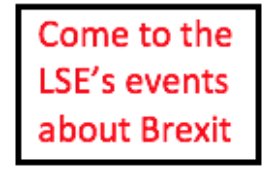 This post gives the views of the author, and not the position of the LSE Brexit blog, or of the London School of Economics. Image: CC0 Public Domain. Shahin Vallée is a PhD candidate at the LSE’s European Institute. People’s vote: what would a serious Brexit referendum look like? Adam Tooze writes some decent stuff for sure. People never get to the root of the crash. It was speculation in LAND. Land has the unique ability of absorbing a part of a community’s economic activity. That is where land values come from, land values are not manna from heaven. We never, and still do not, reclaimed this commonly created wealth (named economic rent) to use for common purposes, allowing it to be appropriated by land owners. What has this to do with the 2008 crash? People were pouring debt after debt into untaxed unique land. Banks were lending on land irresponsibly, because if the borrower defaulted they could reclaim an asset which had “risen” in value. They can’t do that reclaiming industrial machinery from a defaulter. Banks would never be so irresponsible lending on industrial machinery, as they were in lending on land. Land was the root of it. Of course the monetary regulations were lax, but they were not the root of the domino effect. 1. Prevent speculation in LAND Land Value Tax does that very well, and seamlessly when set to a high rate. 2. Tightening up of monetary procedures and laws.